They showed what they were capable of when they won the Queen stage of the race, stage seven, and they were in an exciting sprint for stage honours on the final stage which was only decided on a photo finish. 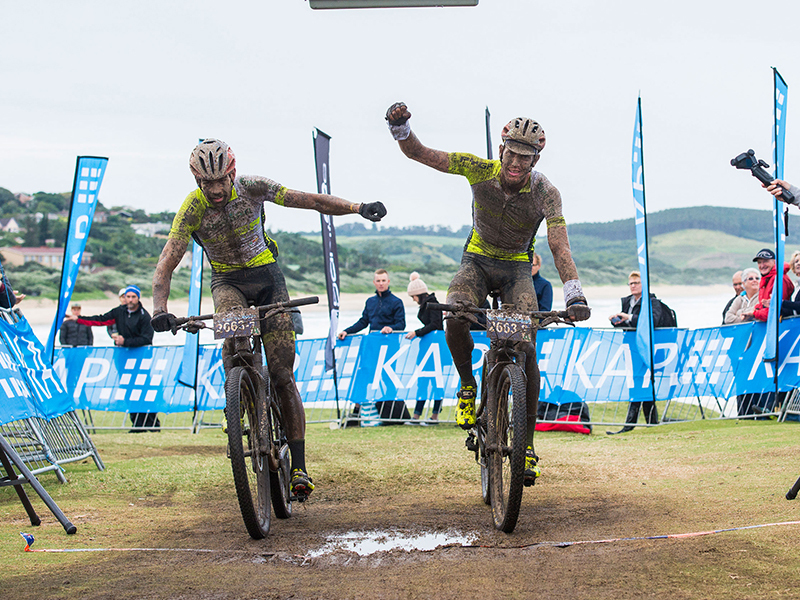 The pair combined to win the KAP sani2c in 2017 but Beukes and Julian Jessop lost out on repeating their title triumph in 2018 when the NAD Pro team of Matt Beers and Nico Bell won the coveted title and the PYGA Euro Steel pair had to settle for third. The sani2c offers some exciting trails throughout with the famous ‘Umko Drop’ on day two being a favourite element for a lot of riders, including Beukes. “I love day two. The drop into the Umko is always special. It’s probably one of my favourite days of riding on the South African calendar! Phillimon Sebona and Pieter du Toit will also be at the event as the second PYGA Euro Steel team. Beukes and Buys will now turn their attention to the joBerg2c as they use that for the sani2c a few weeks later.